Reliance Jio has been spotted testing its VoWi-Fi (voice-over-Wi-Fi) service in India. With the new service, the Mumbai-based telco will be able to allow its subscribers to make voice calls and access the Internet - all without having active cellular connectivity. The Jio VoWi-Fi service is said to be in testing in a handful of Indian regions, including Andhra Pradesh, Kerala, Madhya Pradesh, and Telangana. Reliance Jio hasn't revealed any formal details around its VoWi-Fi service. However, it is speculated that the new development could emerge officially as early as January next year. The VoWi-Fi service by Reliance Jio will initially be limited for Jio-to-Jio communications, reports TelecomTalk. However, it is believed that the service will be expanded to other networks soon after its initial launch. Folks at TelecomTalk have been able to source a screenshot from Gadarwara, Madhya Pradesh that apparently shows the existence of Jio's VoWi-Fi service. 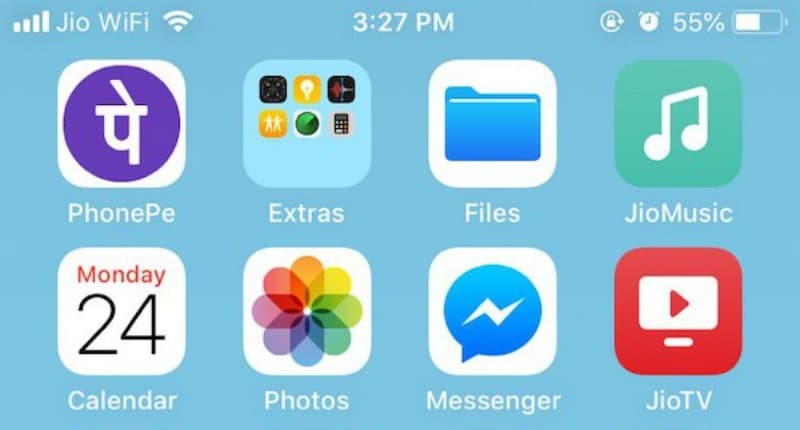 The screenshot that is claimed to be captured on an iPhone essentially shows "Jio WiFi" at the place where iOS generally shows the name of the operator. Apart from Madhya Pradesh, it is said that the service is currently under testing in other regions as well, including Andhra Pradesh, Telangana, and Kerala. All the major smartphones that were launched in the recent past have VoWi-Fi support, though it probably needs to be altered for a particular carrier through a software update. Companies such as Asus and HTC recently pushed software updates to their smartphone models to enable VoWi-Fi in some markets. It is also important to note that apart from smartphones, the Jio Phone and Jio Phone 2 are expected to support Jio's VoWi-Fi service in India. The service is essentially aimed to help people in remote locations where the traditional network is weak. With support being offered on Jio Phone models, Reliance Jio could be able to push the new service to the masses. In addition to Reliance Jio, Bharti Airtel and Vodafone are said to be in plans to kick off their VoWi-Fi services in India. The competitive services could work in line with what Reliance Jio is reportedly testing nowadays and will enable Wi-Fi based voice calling. That being said, Reliance Jio is so far disrupting the telecom sector in India by offering affordable data offers. The telco was also able to maintain its lead in the 4G download speed chart published by Telecom Regulatory Authority of India (TRAI) on a monthly basis.